​Juventus superstar Cristiano Ronaldo has revealed he's confident that he is not seriously injured and will be back in action in a week or two, after he was forced to limp out of Portugal's Euro 2020 qualifier against Serbia on Monday night with what looked to be a thigh problem. Ronaldo lasted 31 minutes before pulling up while chasing a long pass. He was treated by the medical staff, but was able to leave the pitch unaided and was replaced by Benfica's Pizzi. Portugal were already a goal down at the time after Dusan Tadic gave Serbia an early lead in Lisbon from the penalty spot. Danilo Pereira later equalised and the game finished 1-1, with Ronaldo urging his teammates on from the sidelines in a repeat of the Euro 2016 final. Speaking to the Portuguese media after the game, Ronaldo allayed fears that his injury could keep him sidelined at a crucial moment of the season for Juventus. I Bianconeri have an eighth straight Serie A title all but sewn up, but Champions League glory remains the ultimate goal, with a quarter final against giant-slayers Ajax looming. "I'm not worried, I know my body, I should be back in one or two weeks," Ronaldo declared. The 34-year-old will therefore almost certainly miss Juve's home clash with Empoli on Saturday evening. He would also be a doubt for the trip to Cagliari just three days later. But by his estimation, it is possible the five-time Ballon d'Or winner could be back to face ​Milan on 6 April, and is likely to be available for the crucial first leg against Ajax in Amsterdam on 10 April. Ronaldo has scored 24 goals in 36 games since joining Juve for €100m last summer. This month's international break marked his first call up for Portugal since the World Cup. He drew a blank in the opening Euro 2020 qualifier against Ukraine last week and hasn't actually scored for the national side since netting a winner against Morocco in June. 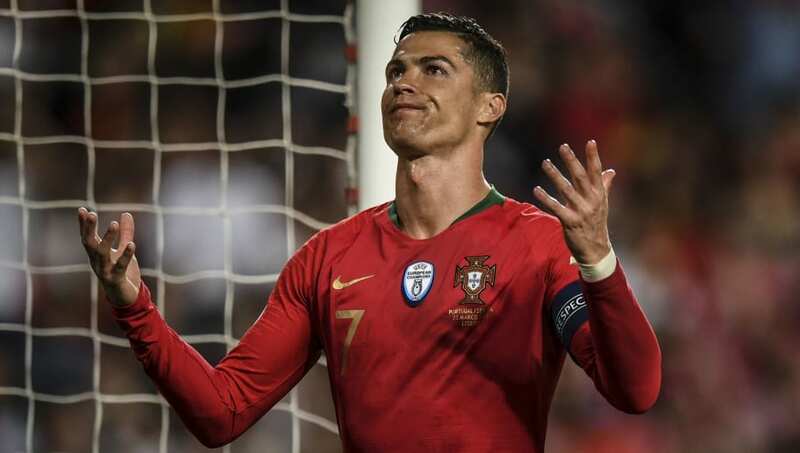 Ronaldo's Portugal tally of 85 goals is a European record after he surpassed the legendary Ferenc Puskas (84) last year, with Iran legend Ali Daei (109) now the only player in history to have scored more goals at senior international level.